When you’ve seen the best, how can it possibly get any better? 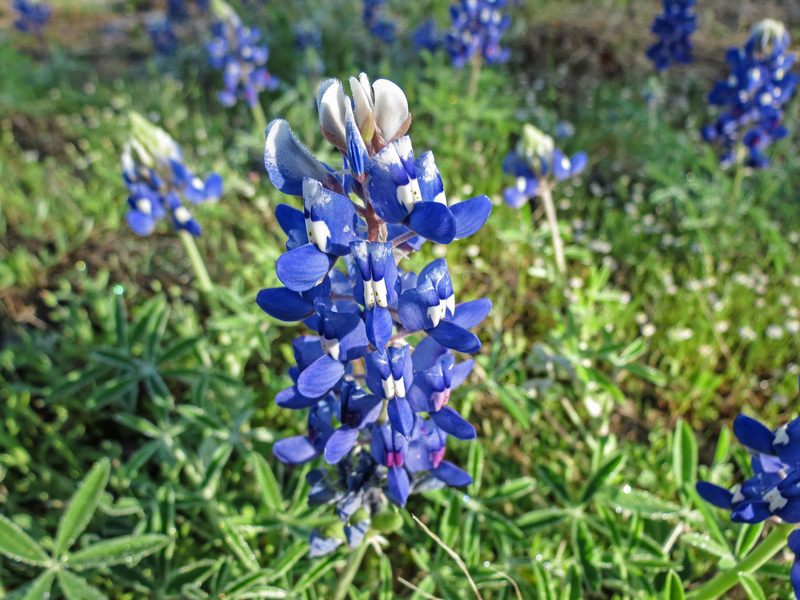 That’s what we thought when we heard that this year the Texas Bluebonnets were a bumper crop – the best in 10 years. We found it hard to believe that they could beat the ubiquitous blue carpet we saw back in 2015. If the roadsides were any indication, our skepticism was well founded. 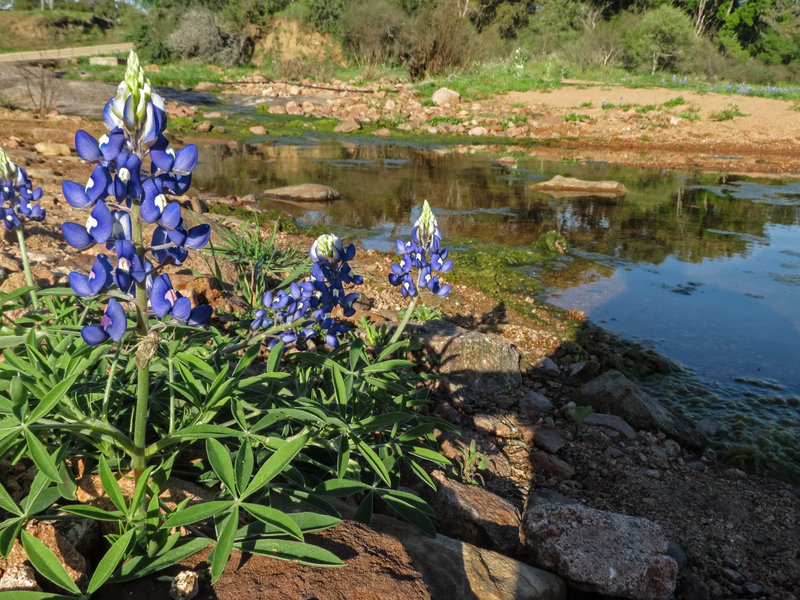 We didn’t see the same dense pack of spiky blue blooms lining the roadways. Patches here and there, yes, and occasional islands of color. But still not up to par. So we set out to cycle the Willow City Loop. 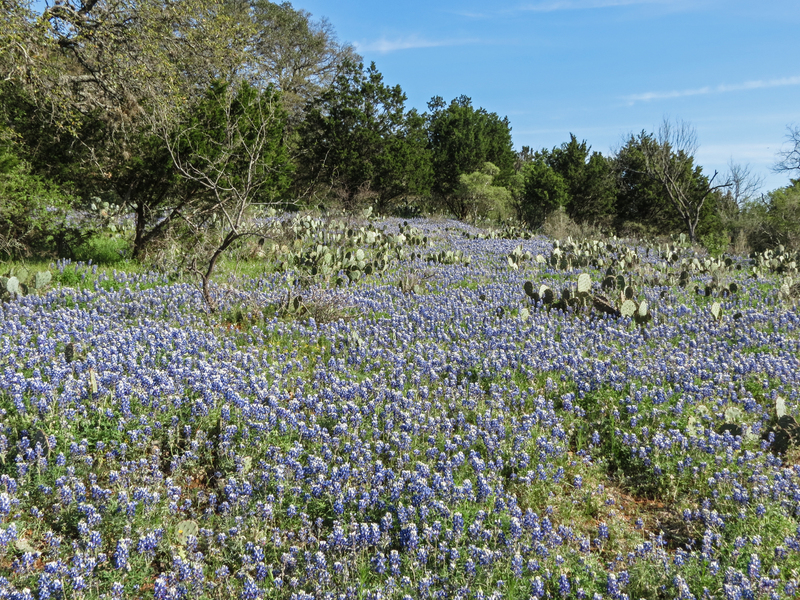 This 13-mile winding country road is the epitome for bluebonnet viewing. Cars inch along as passengers ogle the flowers. Everyone ignores the “No Stopping” sign, pulling off when they can to take pictures. Grownups hunker down into the flowers, posting for the camera. 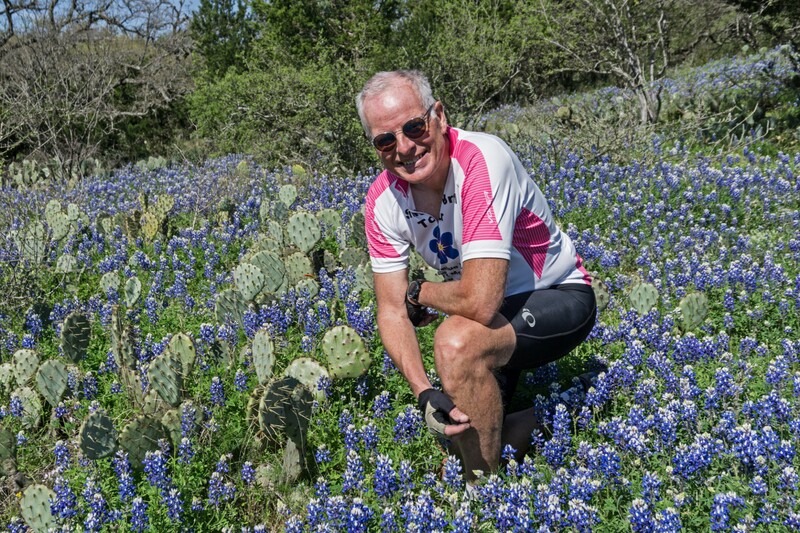 Propriety is tossed aside in the presence of the state flower of Texas. With the benefit of a car this time, we parked at one end of the loop and doubled our pleasure with an out-and-back ride. Starting shortly after sunrise in the crisp cool air, the low angle of the sun’s rays cast a golden glow. We were alone on the road at that hour, well ahead of the traffic yet to come. Relishing the silence, we also reveled in the pace and flexibility of our bikes. We lingered and took it all in as we passed in slow motion. Stopping was as easy as parking our bikes, allowing plenty of angles for photographer Rich, and even a few cheesy poses of our own. 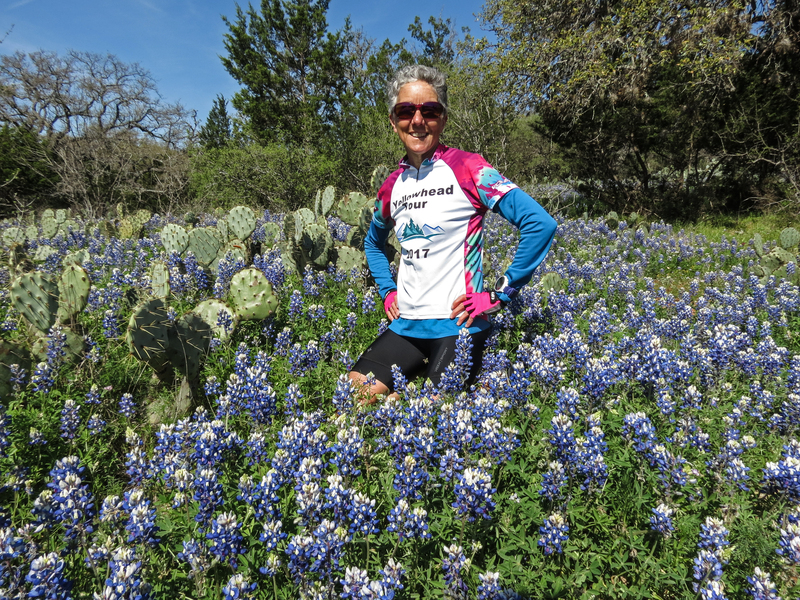 As the miles went on, so did the bluebonnets. Deep into the fields. Crowding the roadsides. Encircling the prickly pear cacti. Swarming under fences. Whole hillsides of them. The scene began to match the one we held in such esteem. Yes, we ultimately agreed, this could be just as good. Maybe even better. Photos tell it best. After 26-miles, it really didn’t matter. 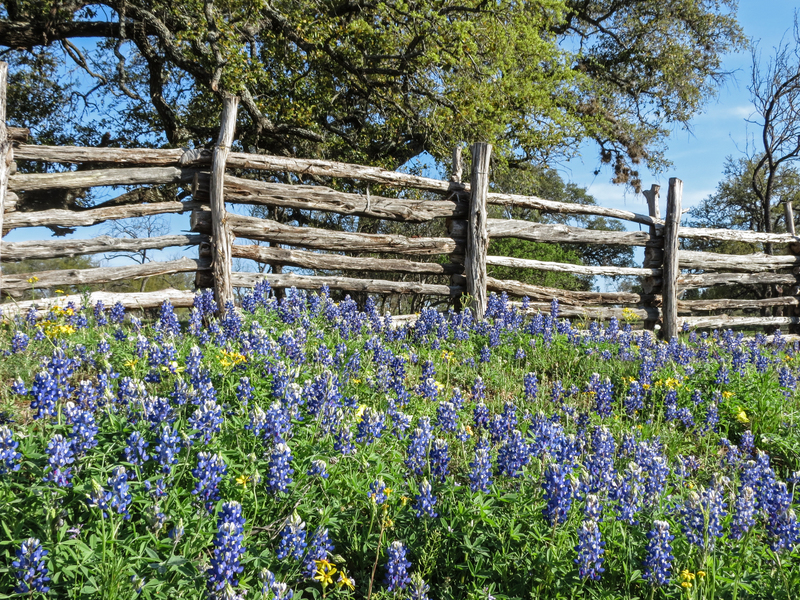 We knew we’d seen a bounty of bluebonnets. That was good enough for us. 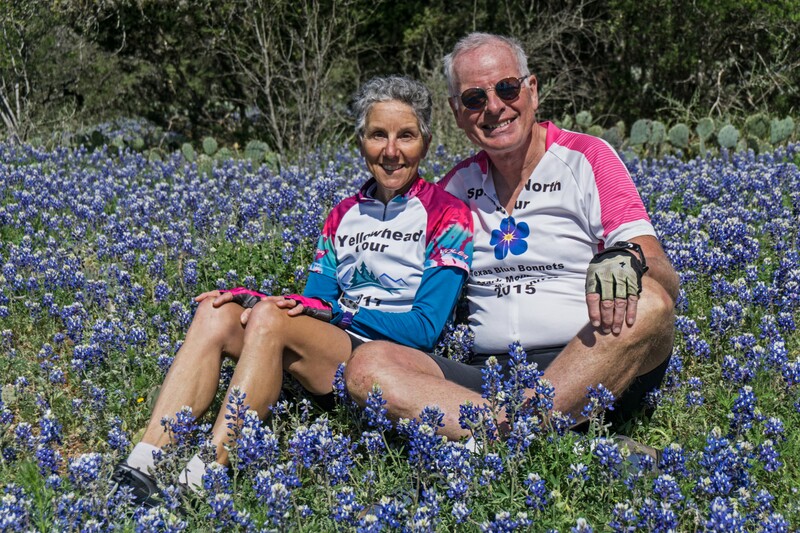 This entry was posted in Outdoors, Travel and tagged Bluebonnets, Cycling, Texas, Wildflowers by Molly. Bookmark the permalink.